PandaVita, an ethical & organic superfood company, recently contacted me to see if I’d like to review their Organic Baobab fruit powder. 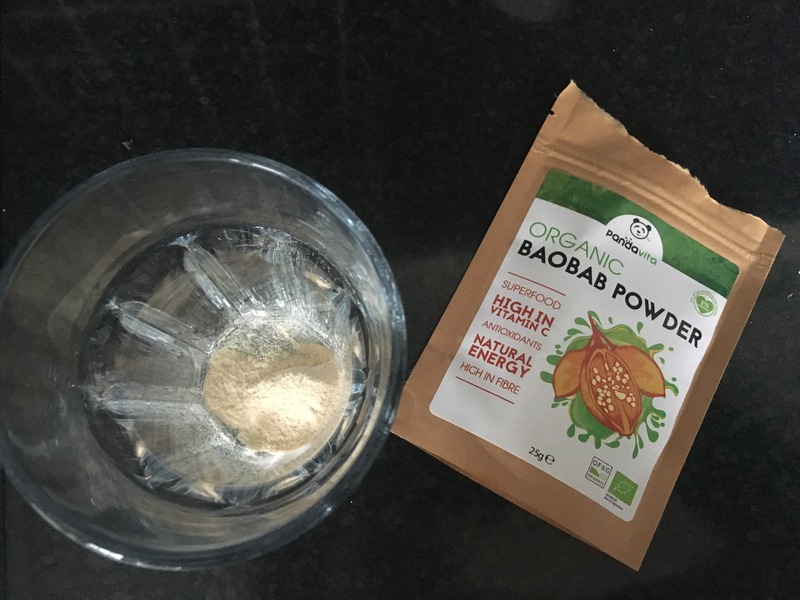 I must admit, I didn’t even know what Baobab powder was at first, so as somebody who claims to be into health and fitness, I was a little embarrassed. However, being hailed as one of the most nutrient dense foods in the world, I felt intrigued and said I’d give it a go. Here’s what I think! I was a little worried about how this Baobab powder would taste. Even though the company says that it tastes like sherbet, I was a little sceptical. I found myself pleasantly surprised. It isn’t too sweet, sour, or sickly. It’s a really mild citrussy flavour, and actually quite nice. It mixes well with water, and is a light orangey/yellow kind of colour. After drinking it I definitely feel more energised, and I dare say, happier! It’s great because it also contains fibre (which many of us don’t get enough of), vitamin C, and other health benefits that you can find on their website. They say it can even aid weight loss. Its paleo, gluten free, dairy free, vegan, and all that other good stuff too! Of course you don’t just have to be boring and mix it with water like me. They have some amazing ideas and inspo on their Instagram page – @panda.vita. You can find smoothie bowls, porridge, and even cream cakes! You can also find yummy sounding recipes on their site. If you share your creation with them on social media, you could win a free 50g packet. As this powder has so many health benefits and you can do so much with it, I’ll definitely be replacing my packet when I run out!